Easter is just around the corner so I had to squeeze at least one small project before the holiday is here. 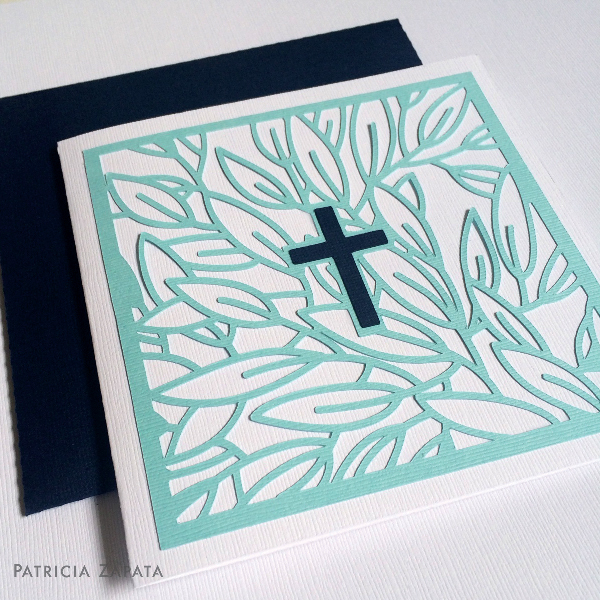 I wish square cards where more of a standard format—love them. Thank you, thank you to all of you that ordered the Lush Garden Gift Set over the weekend! It's always so fun to see that my projects are so well received. I truly hope you'll enjoy it. This reminds me of a conversation I had with a friend not too long ago. We were talking about how a lot of what we do as artists is taking risks and how scary it can be to show our work after pouring our souls into the process. The work can be well received or not but somehow we always come back with more to show —and let me tell you it can still be a bit nerve wracking. Every single time I press publish I feel a bit of angst — every single time — still. I'm always proud of what I show (there are plenty of bombs that don't make the cut/see the light of day!) but ultimately it is my customers who will tell me whether a design is successful or not. Yes, I can make art and not care about what people think. But here's the thing I want to love what I do while earning a living with my passion. Since I'm fallible and not everything I make will be a hit, the whole thing feels like I'm rolling the dice with every project. The important thing, like my friend told me is that I do come back, and I do press the publish button. Last year, after taking on a full-time job, everything at A Little Hut slowed down — way down. It had to. I had to get used to the new routine and to put in plainly, I was burnt out. I feel like I'm back again. Slowly but surely my designing rhythm is here again and it feels great! I'm so glad I gave myself some time off to renew the energy that is needed to fully engage in meaningful work. We'll see where this new chapter takes me. I will be quiet for the rest of the week just soaking in some family and reflection time. It'll be nice to slow down for a spell. I'm trying really hard to be more purposeful with my time. It's amazing how quickly it flies by and some days I feel like I'm not focusing on the most important people in my life. So yes, I love my work but I love my peeps even more — as it should be. For now and a little ahead of time... Happy Easter everyone! 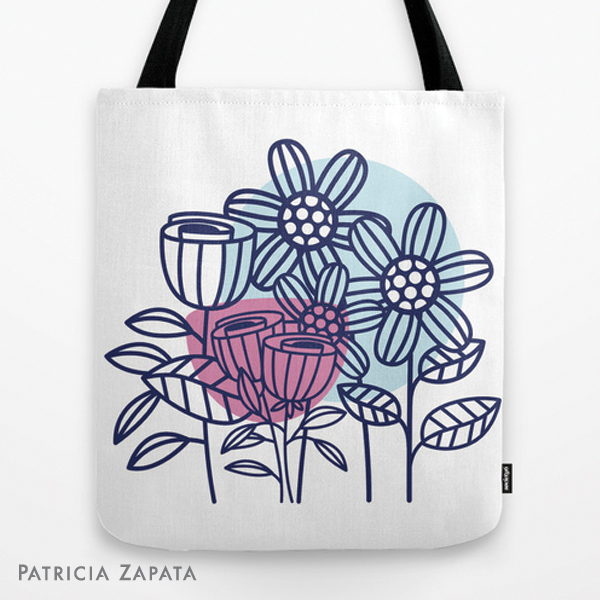 Lush garden tote bag now in my Society6 shop!